Cycling is an essential part of living in the Netherlands. In Amsterdam Zuid-Oost, where a large immigrant group is living, a woman called ‘Mama Agatha’ is teaching migrant women how to cross the city on a bicycle. The Protocity interviewed filmmaker Fadi Hindash, who made a documentary about Mama Agatha’s bicycle program. Learning how to ride a bicycle. 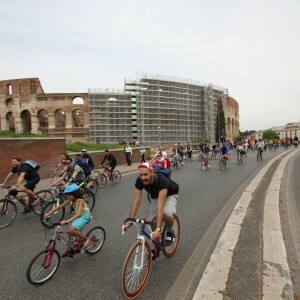 Although the topic might sound trivial to people who think cycling is an uninteresting part of everyday life, it is so crucial to finding a way into a culture where it is, indeed, a part of everyday life and where for many people it is the main way of cheap transportation. Filmmaker Fadi Hindash came to realize this when he saw a Muslim woman getting cycling lessons in the streets of Amsterdam. A funny sight at first, a woman on a bicycle, moving in all angles just to keep her robes from getting stuck in the wheels, but so meaningful and portraying for a clash of cultures, if you think about it. 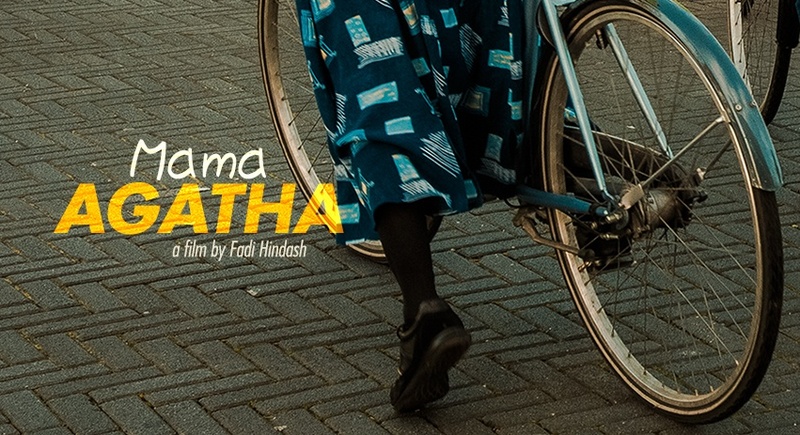 Fadi made a documentary, portraying Mama Agatha (59), who moved to the Netherlands from Ghana and now runs a bicycle training program for migrant and refugee women in the south of Amsterdam. This short film follows a group during several parts of a cycling course. Interestingly, the women do not only learn how to ride a bicycle. Even budgeting classes were incorporated into the program; a requirement of the city in return for acquiring municipal subsidy. Fadi Hindash, known for making movies that evolve around vulnerable groups that are trying to find a home away from home, became intrigued by this vision and decided to delve further into the topic. 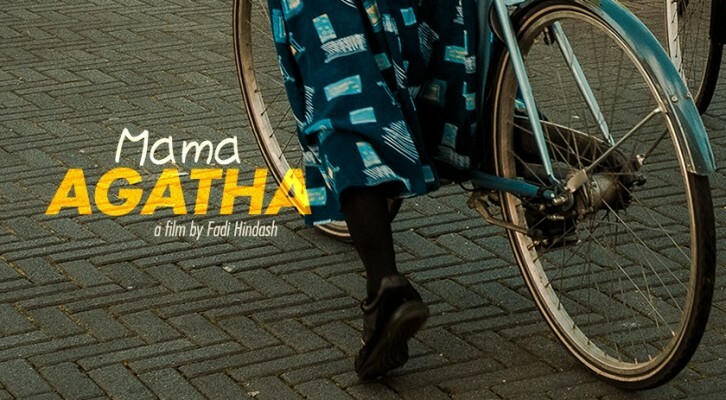 After a call with the municipality, Fadi got referred to a very special woman in Amsterdam Zuid Oost by whom he would shoot his documentary: Mama Agatha. Why does this documentary focus on Muslim women? Fadi explains that he likes to focus on Muslim women for his documentary, ‘because they’re Dutch but not Dutch’; referring to the heated Dutch debates about immigration and women emancipation. 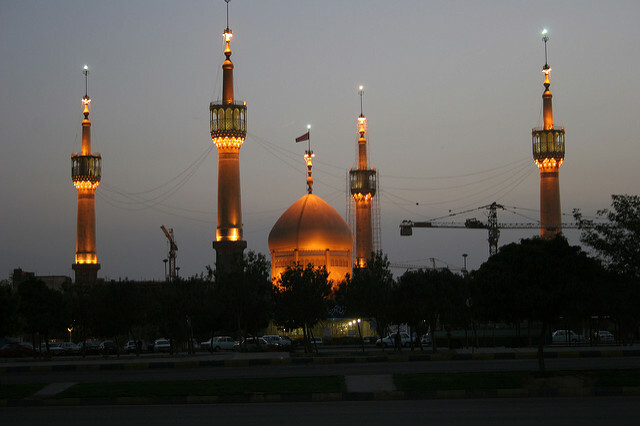 Fadi: ‘I tend to focus on women and their struggles to build a home away from their homeland in a new, difficult place. I am from Palestinian- Lebanese descent and grew up in Dubai, so I can somehow relate. I was intrigued by this vision of a women with a veil on a bike. It is such a powerful image of finding your way in to a different culture; it is a visualization of integration’. The women have difficulties riding a bike with the traditional long clothing, and the course for instance helps these women showing how to tie their robes so they won’t get stuck in the wheels. These are life changing lessons for some of these women, because it allows them to be more mobile and can do more things by themselves than ever before. Do you think this course can be seen as a means to build community? Fadi: ‘The participants find friends and bond in their neighborhood thanks to these classes. 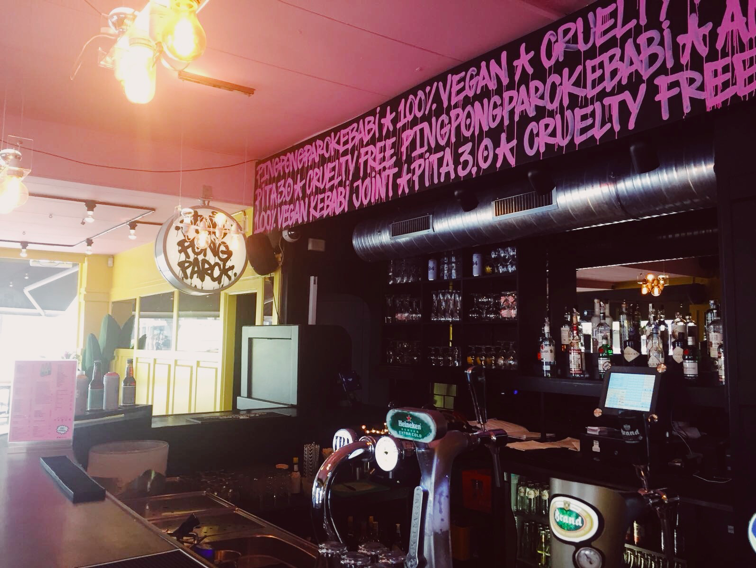 I think this sense of community is typical to Zuid-Oost, where you can find so many sub-communities. The women, who are all from different backgrounds, didn’t know each other before. But the course even included budgeting classes and a graduation ceremony, giving ample opportunity to bond. There were not really misunderstandings between them, they became really connected by these bicycle courses.” There are already similar initiatives happening in many other municipalities in the Netherlands, and Fadi is planning to show his documentary to policy makers for more support of these initiatives. Even though women empowerment and community building are important themes in this documentary, the main message applies more to the individual. It focuses on women who have to build up a new life and try to feel at home in a place that seems difficult to accustom to. What does Fadi want you to take out of the movie? Mama Agatha premiered on May 2nd 2015 at the Leiden International Short Film Experience, where it won the ‘Audience Award’. The next screening will be on May 26th at Shortcutz Amsterdam. For more information about upcoming screenings and the movie, check here.